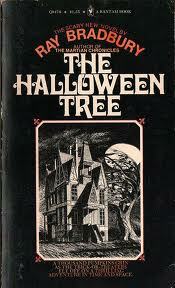 My next book was surprisingly The Halloween Tree (1972). This book is on my list to read, but I had forgotten about it. I just found it on one of my wife’s shelves. I first encountered the The Halloween Tree via a Cartoon Network movie (1992). Both my wife and I enjoy that film. Surprisingly, while reading up on this novel, it started out as a screenplay with Chuck Jones, but never got made and found its way into print. This book was quite the fast read. It is a kids book, and it reads as such. In it, a group of children travel with Mr. Moonshroud across time and the world visiting various places and learn how they celebrate Halloween and how they deal with death. It was OK. The information contained within, it quite interesting even if I knew a lot of it, and if I were still a kid, it would have even been better. However, it never felt like a “complete” story. It felt more like a lesson about Halloween with a very loose story tied around it. Only at the very end, when the kids are saving their friend, does it feel like a novel. I am slowly coming to the conclusion that I am not a big fan of children’s literature writing. I like the stories they often tell, but not the language they are told in. It is often to simplistic. The writing tends to have no style, flair. And this book was no exception. One excetpion I can think of off the top of my head is Sabriel (and its sequels) and its sequels by Garth Nix. Those are kids books but the writing never suffers for it or the themes. This one seems too. Now I would never hesitate to recommend this book for children to read. It is a fun story, full of great facts about Halloween. Kids would love it I think. This entry was posted in Reading and tagged childrens, classic, halloween, raybradbury. Bookmark the permalink.